Mehaan Charitable Foundation is currently involved in Nepal Relief Work. We have mapped out the most needy areas and currently collaborating with other organization for bigger impact. Material support, volunteering and raising funds is our main focus now. 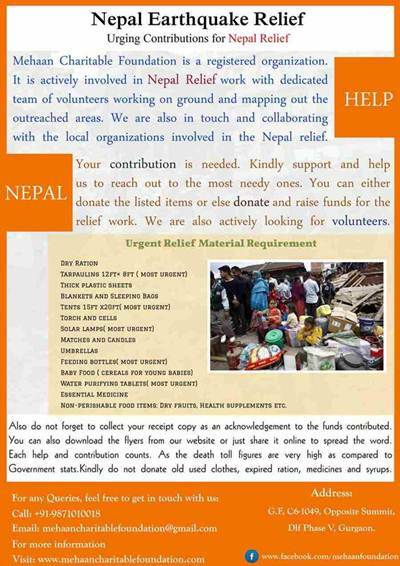 We anticipate and look forward for your generous contributions.